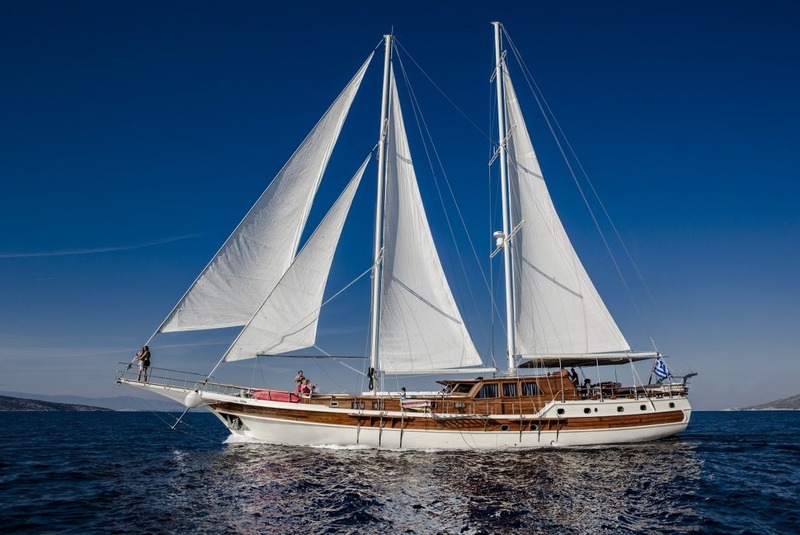 Built in 2001 and refitted in 2015, sailing yacht ERATO is a 30m/99ft luxury ketch built from a wood hull with a wood superstructure. 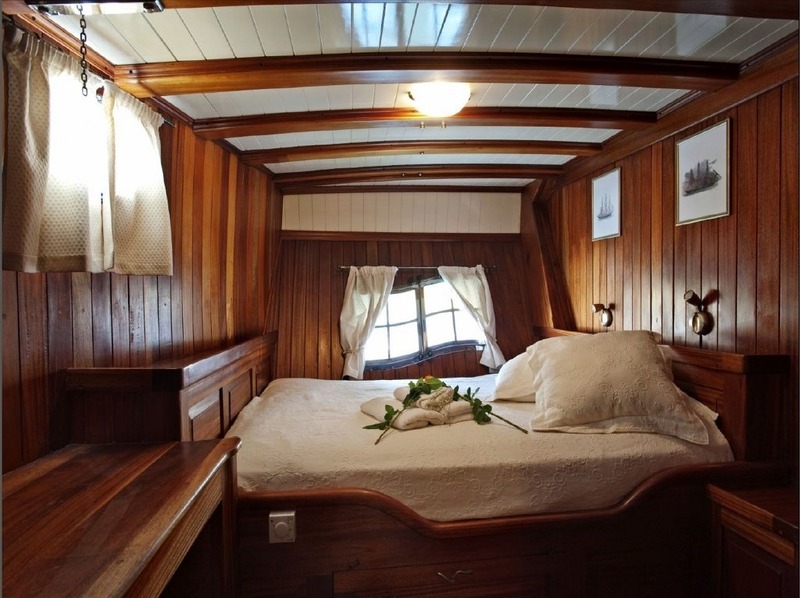 Her accommodation is designed for 19 guests over seven cabins, most of which are triple cabins. The forward deck is the designated sunbathing area and is laid out with sunpads for 18 guests. The forward space is fitted with a large seat where guests can take in the views. On the aft section, the alfresco dining table is covered by a canvas to provide shelter in all weather conditions. The stern has integrated seating that also acts as an additional sunpads area. 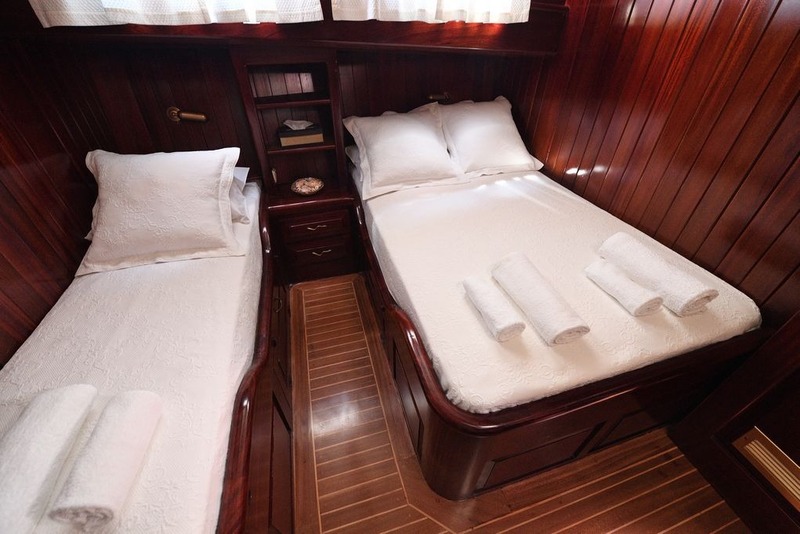 The guest accommodation is spread across the lower deck and consists of two double cabins and five triple cabins, each with air conditioning. 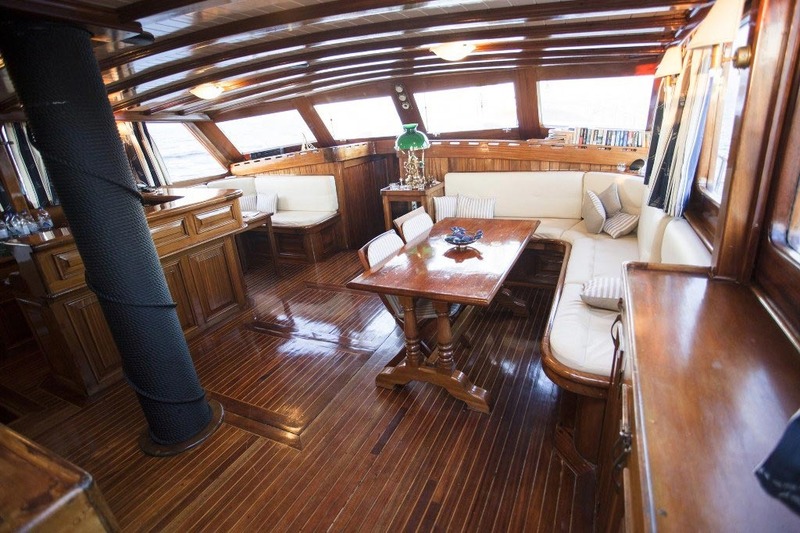 The main deck is brightly lit by forward and side windows and guests can unwind with reading material in the classic surroundings or grab refreshments from the bar, which has an excellent supply of spirits from the wine cellar. The accommodation sleeps 19 guests across 7 cabins: 2 double cabins and 5 triple cabins, each containing a double and single bed. 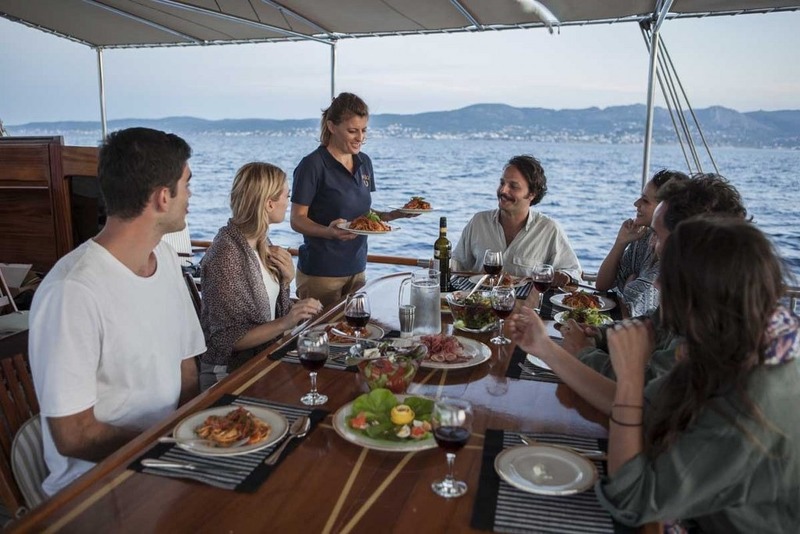 The expert crew of 4 will ensure that all guests receive stellar service throughout their time on board. Tenders & Toys One Orizon 4.5m with 65 HP Suzuki, Snorkeling Equipment, Fishing Gear, 2 x Canoe, 1 x Knee Surf. Communications Radar, Echo Sounder, 2 x VHF/DCS, 2 x GPS - Chart Plotters, One navigation computer, Portable VHF, Autopilot, Wind Instruments. Audio Visual Equipment and Deck Facilities Individual DVD/CD/MP3, players in Salon.